The whole of Cornwall seems to have gone gin mad. At the last count there were 11 craft distilleries in Cornwall making gin from a vast range of botanicals. Most pubs and restaurants are making a big shout out about the range of gins available. 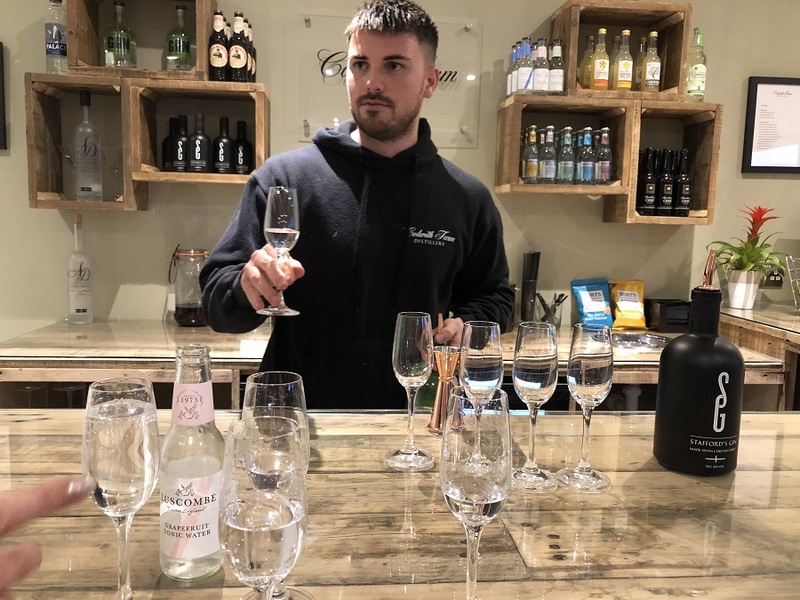 People just can’t seem to get enough of it, with gin festivals, gin tours and gin making lessons all on offer in the county. 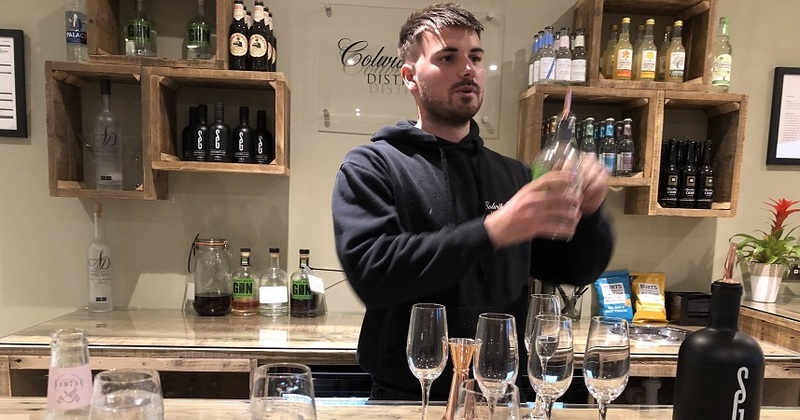 I visited the newly-opened Colwith Farm Distillery between Fowey and Lostwithiel. The farm is run by Mike and his sons, Steve and Chris. Their family’s been farming here for five generations; they starting growing potatoes for the Second World War effort and haven’t looked back since. The bulk of the potatoes go to make crisps. However, the manufacturers are fussy and only want perfect potatoes, which means there are always some which don’t make the grade. So to use up these not-quite-perfect spuds, they came up with the idea of producing their own alcohol (ethanol) from potatoes, as the base for their gin, and they’re the only Cornish distillery to do this. The distillery barn has a visitor centre where you assemble for the guided tour. This follows the whole process from peeling and crushing the potatoes (Wilma or King Edwards are the best varieties, and peelings and washing water are spread back on the fields) on to the fermenter and distiller, then on to rectifying and finally bottling. The water required for this process comes from underground water on the farm, so it only needs renewable energy now to make it a closed loop self-reliant system. I discovered that this process creates vodka. Vodka is just gin without the juniper, I didn’t know that! Adding the botanicals seems to be the most crucial and important part of the process. Everyone has their own secret recipe, which is closely guarded. The botanicals come from all over the world and are used dried for consistency. 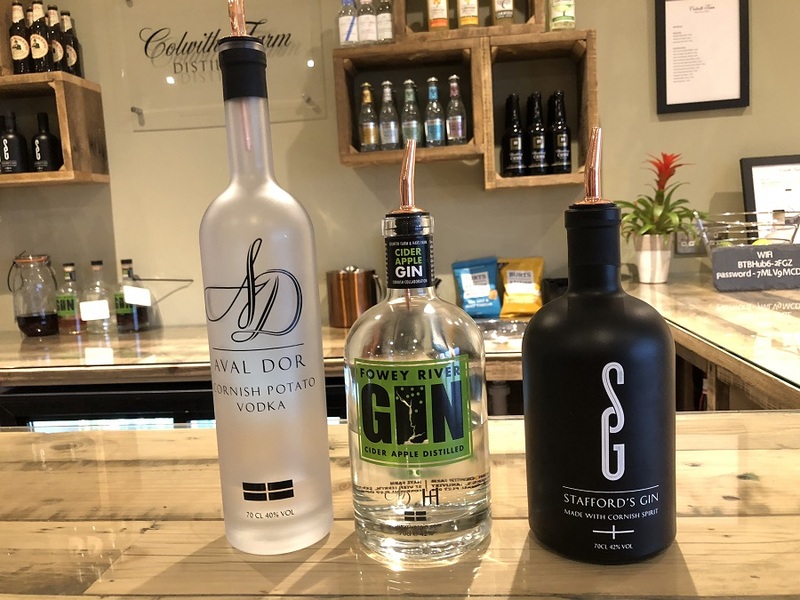 At the moment Colwith produces three drinks: Stafford’s Gin, Aval Dor Vodka, and Fowey River Gin, which uses surplus cider from a local farm to produce it. Another product in the pipeline is gin made with a blueberry surplus from another local farm. I was very impressed to see the efforts being made to work with other farmers to eliminate waste. The tour was followed by a tasting session, which was very generous, allowing us to try mixtures of gins and tonics. 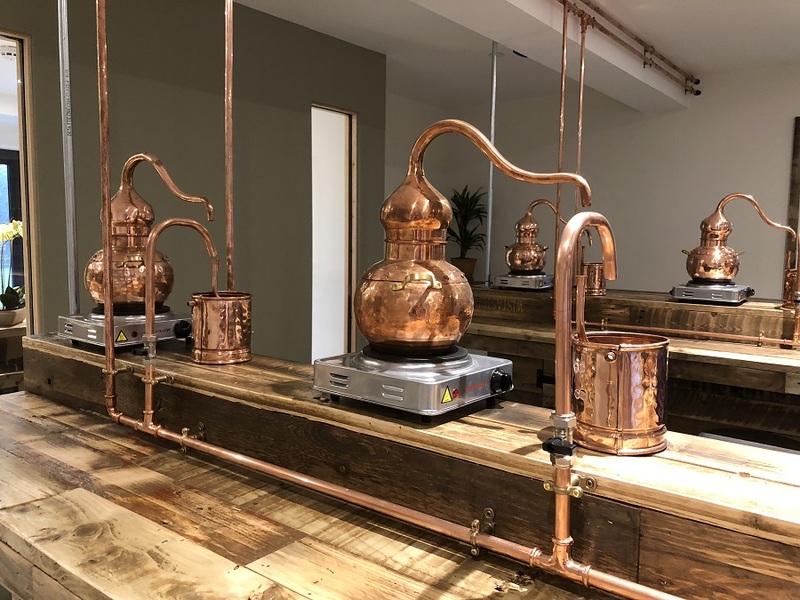 They also offer a gin masterclass where they’ll help you to make a gin of your own! The tour and tasting costs £15 per person. It took just over an hour and I can heartily recommend it. At the moment they do tours on Wednesdays, Fridays and Saturdays.